This is just a reminder that McClendon’s Select has only two more markets at the Town & Country location on Wednesdays before we move to the Uptown Market. 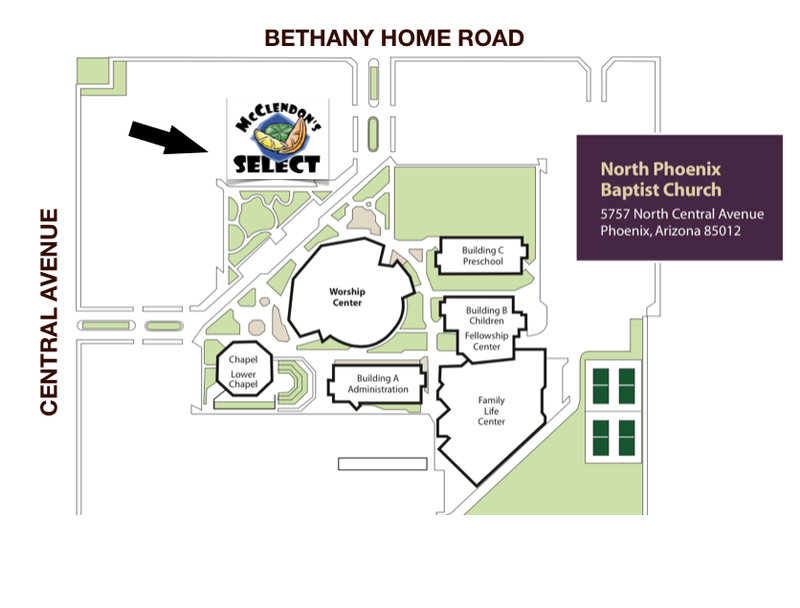 Starting Wednesday, Feb. 4th McClendon’s Select will be at the new location on the grounds at the North Phoenix Baptist Church off of Central Avenue and Bethany Home Road. There will be a large number of vendors with us at the Uptown Market to make your shopping convenient, as well as food trucks so you can grab breakfast or lunch while you are there. Noble Bread, of course, will be with us with their wonderful selection of organic, fresh baked breads and scones. We will be at Town and Country tomorrow and Wednesday, January 28th, and then it is off to Uptown on Feb. 4th. We have heard back from a number of our customers about this change and we truly appreciate all of your support! ← Wednesday Market Moving – February 4th….